Just wanted to throw out a review of the Reebok Floatride run fast pro. This things super light and is perfectly cushioned. It’s super protective in the heel but very responsive in the front. The bottom is grippy, but it’s kinda weird in a way. Almost feels like it’s gripping but slipping at the same time, like the lugs grip but they’re so long they kinda move wiggle. The upper fits like a spike and it looks down in all the right places. Feels good at all paces even running a little slower. Probably is best for running the mile to 1/2 marathon. On another note, it’s not the vaporfly. It’s not worth 250$. It’s pretty easy to game the Reebok website though to get them down to 170$ which feels like it’s a lot better price point and it’s actually worth that amount of money. Great shoe though just not vaporfly good. what do you mean “game the website”? Reebok lets you stack coupon codes occasionally. They had a 50 off 200 dollars or more than you can get a 35 dollar rebate from retail me not for spending 200$ so and they stack since the sites don’t communicate with one another besides just a purchase of 200$ being made so you get it back via pay pal. Sub2s are on sale so I got some. They rock. Super light but still very cushioned (feel about as cushioned as the streak 6 but just less weight). Upper is very comfortable. Seems like they will be the perfect XC or 5k/10k training flat. Sizing: 9.5 for all, 10 was okay for Matumbo 3 and Vent 2. 9 was too small for Matumbo 2. Notes: Flyknit was very comfortable, especially for longer workouts. The 3 upper is just nice. I do like the plate on the 3s more than the 1s/2s. Vent 2 had a more comfortable upper than the Matumbo 2. Sizing: 9.5 for all, 10 was okay for the protos and Elite 2, but too much toe room for Elite & OG. 9 okay for OG Vics. Notes: Don’t really like the 3/4 plate on the Vic Elite 2s. Was looking for the OG Vic feeling and did not find it; if they had released the cut-plate version this shoe may feel better. Will have to try a few more workouts in them. Milers were okay but too heavy, especially since the OG Vic set the bar for spikes to be very lightweight. Like GT said, the Victory 3 Protos really do feel slippers. I could use them for longer distances and feel fine. Carbon fiber plate is more flexible because of the sectioned-off parts. They also weigh under 4 oz (sz 10), unlike the released Vic Elite 2 which weigh around 4.6 oz. Notes: It’s a toss-up, they are both pretty good. I would prefer the upper of the OGs though, but that might just be generation bias. The XC 3s performed like a more-rugged Matumbo. Tested out the Mamba V today. I only did a handful of strides so this review isn’t necessarily my final verdict. Aesthetically, I’m not sure there’s a better spike. The whites are just so nice. Now from a performance standpoint, I love the cut/OG Vic style plate combined with a longer shank under the foot. The shank goes back to the front of the heal, making the spike feel more aggressive than even the Vic Elite 2, which is somewhat surprising for a “steeple” spike. I also felt that the plate was a little wider, which I liked because I have notoriously wide and flat feet. The upper looks very nice and fits well, but it felt a little less breathable than the Vic 3/Vic Elite 2 upper. To be fair, This may just be because I had just finished a run and was already a little warm. The spike felt so much better underfoot that it didn’t bother me too much anyway. 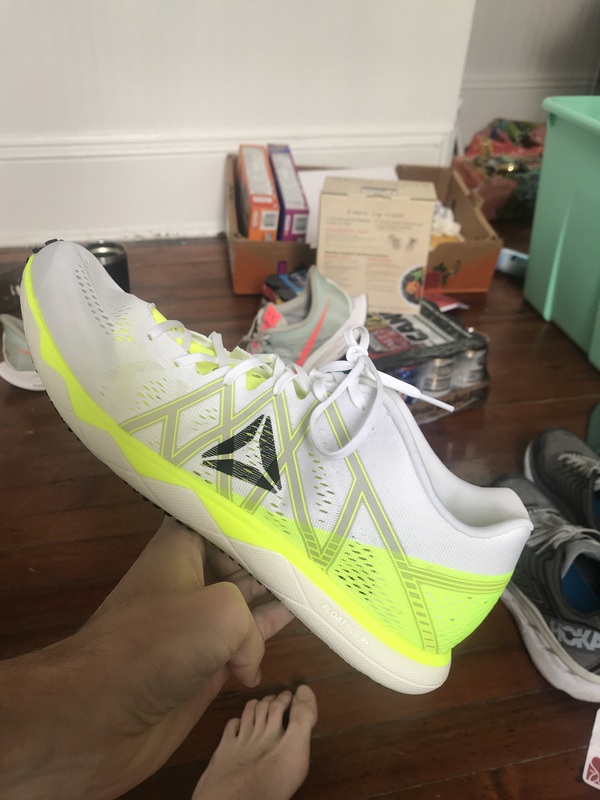 All-in-all, it’s a great spike and I’m excited to wear it in some workouts and races. P.S. I usually wear 10.5 in spikes and 11 in trainers. I like a snug fit for spikes. My Mambas are 11s and fit like a glove. Has anyone used the Victory Elite 2 in a 5K race? Considering getting a pair in the far future, for 1,500 - 5K, but I wonder if the stiffness is conducive to running well at 5K pace. edit: mainly a 3K guy, but will focus on 5K outdoors and do 1 or 2 1500s. They absolutely destroyed my calves more than I thought they would. Next 5k I will be racing in OG Vics or Matumbos to make my legs like me more. Yeah, I definitely don’t want that. Did you use Victory 3’s or Elite 2’s? Either way, both seem pretty unforgiving, which is why I ask as it may make a difference. I raced with the Elite 2’s. The Victory 3’s wouldn’t be bad for a 5k but I am simply not a fan of how cheap they feel. But that may just be me. It was like meeting an old friend for coffee. Just like how you remembered them, but a little older, a little more mature. It’s not a recreation of the original Victory, it’s a re-imagination of it. Same great feel and ride, but without the rough edges. Improved upper, better lockdown, same snappy plate. I’m looking forward to getting these on the track soon. This is a perfect description. Well done. Reach out to nike about that. I’ve had them replace a pair of Xc spikes that had a tear in them. You might not be able to get the white color but they’d at least be able to replace them as long as the tear wasn’t caused by user error I.e. someone stepped on the spikes and it’s within a 2 month window. I haven’t even worked out in mine but I’ve ran 9 or 10 races in them and I have tearing on the instep of both and the outside of my right shoe. Yeah I’m disappointed with how they held up Anyone else who’s had them: any tips on keeping them from ripping?